With the overflow of digital content available online, company blogs often slip through the cracks unnoticed. Writing a blog for your business can be rewarding, but intensely frustrating if no one is reading the content you worked so hard on. So how do you drive readership for your blog? 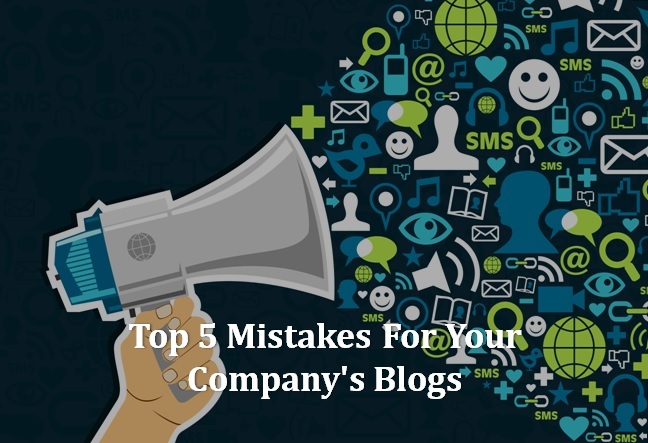 Avoiding these common blogging mistakes is a good start. You have a limited window of opportunity to draw readers into your organization’s blog. What initially draws your readers in is a headline that captures their interest. While list posts such as “The Top 10…” or “The 5 Best…” may seem overused or cliched, the fact is that your audience still want to read them, so give them what they want and watch your blog benefit. Your company’s content must be easy to scan in order to get your point across to your audience. Don’t make it difficult to convey your message by relying on text heavy posts; your information will get lost and your readers will click away. Remember that you are writing for a web audience, not a professor, so split up your information into easily consumed bits. Before deciding on a topic for your next blog, consider what your audience is expecting from your company’s blog. It’s easy to get off track with topics that seem interesting to you, but your sponsors, followers and customers need to be considered before you settle on a subject. Look at what similar businesses are writing about to keep on track with your initiative. Also keep an eye on what topics are most popular with your readers by looking at retweets, shares and views for your individual posts. When posting content to social media platforms, one of the best ways to get it to circulate is for your followers to share it with their own friends and followers. Make sure they can easily do this with sharing buttons, as making your audience cut and paste to various platforms will limit how much your content is spread. Make it simple with a prominent two-click share button at the top of your post for the major social media platforms your audience utilizes. If your blog already has a lot of available content, your audience will want to be able to look for your most relevant, popular posts. Popular post features allow your readers to tune into your most relevant blog posts and provides additional pages views for your site when they click through. It will also let you know which topics are resonating with your readers and what they may want to hear more about in future posts.